For those of you who find putting a wardrobe together the equivalent of my technological inadequacy, maybe I can help you to find your way. What always amazes me is the lack of practical advice out there. I see people write into magazines asking for help in locating, say, a dress - perhaps a full length dress for a beach wedding with budget of £150. The answer can often bear no relation to the question asked. Quite often the suggestion is to "blow the budget" on a designer number. What's all that about - if the person had a £300 budget they wouldn't be writing in for advice in the first place now would they? They would just have gone to Selfridges or Harvey Nichols and sorted it quick smart. Also, have you notice how every answer comes back with the line "and don't forget the killer heels." The final nail in the coffin if ever there was one, especially if you have children in tow. It's the same with adverts for the designers. Personally, I love the Chloe advert - all camel trousers, pale silk shirt and high heels. Now how does that translate to every day life with a rug rat in tow? Huh, tell me that! I would love to see a model going down the catwalk with a toddler in tow, sticky fingers, runny nose and so on and let's face it, that's where a lot of us are. We are also in and out of the car or walking to the bus, in and out of the rain (a brolly and a puschair are just impossible to negotiate), up and down the stairs, round and round the garden like a teddy bear, or so it feels. Not for one minute am I saying that having children means that you should ignore your wardrobe and resign yourself to wearing nothing but old clobber but let's face it, there are limitations within which we have to work. So, what is the answer when we want to look stylish but have a family to contend with? 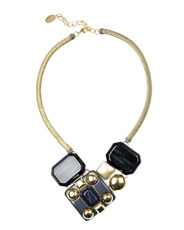 Let's add into the mix that small children and accessories of the necklace/chunky ring/bangle/belt with buckle variety don't really mix and it seems as though we consigned to a life of baggy jeans, trainers and t-shirts. Well, you know what, on a day to day basis we more or less probably are, but we can do it in a stylish way. Before I start though, I should just say that no one has paid me anything to say nice things about their clothes and they are really only used to give ideas and guidance - but I would be more than happy to wear any of them! Take the jeans - jeans aren't to be knocked. If they are good enough for cowboys they are good enough for Mums. OK, so cowboys get to spend most of their working life sitting down, whereas Mums would like to, but jeans are hardwearing, practical and reasonably priced. If everyone wore the right size and shape jeans in the right colour, the world (and in particular soft play areas) would be a much more attractive place. Everyone should ditch those pale, washed out too loose jeans that reveal too much when they bend down and replace them with a dark pair of bootcut jeans that fit. It can take a little time to find the right pair but they are out there. Try to get some that fit without a belt so that a belt can be worn as an accessory, maybe over a cardigan and at waist height, rather than as a means of holding one's jeans up. The ones that I have found to be most successful for my clients, and the most reasonably priced, are from Gap. Hobbs also has a great pair of dark bootleg ones that somehow seem to fit everyone and for those who have a much smaller waist than hips, the high waisted ones from Next avoid that gaping issue at the back. As an alternative to jeans, look to the Zara basic range for navy or black cotton trousers in a variety of cuts. The price is good, they are machine washable but do expect to go up a size. 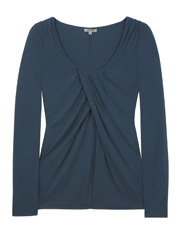 for variety and try a longer length top layered under a shorter cardigan for a different look. These tops are from Jigsaw and tick the boxes of being something other than black. They also create a drape effect over a less than flat tummy. Try to make knitwear interesting. Work in some colour for variety and look out for cheaper cashmere. Contrary to popular belief it responds well to washing and is far softer and warmer than you might think. Many of the Supermarkets sell reasonably priced cashmere. 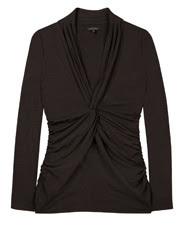 Or try a wrap top cardigan, or put your cardigan on back to front - buttons down the back can look very stylish. Just experiment even within the realms of the simple basic jeans, top and jumper to see how many variations on a theme you can create. All of the knitwear below comes from the Boden catalogue and comes in a wide range of sizes and colours. Their customer service is always great too and with offers constantly running you won't ever have to pay full price for anything. In relation to footwear - look a little further afield than trainers. Converse style trainers are practical and come in a good range of colours and prints. The leather ones are also starting to come into the shops now and these are slightly more practical. 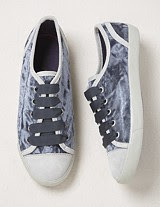 These velvet ones from Boden are lovely and they also do leather ones too, in a variety of colours. A brown biker boot can look great with jeans and dresses alike and will last years if kept well polished - they also tend to have a very slight heel and so can take away from that "dumpy" feeling that completely flat boots give. The ones shown below are from Boden and also come in brown. M&S does a good range of smart riding/biker style boots in the winter and the fact that they also come in half sizes and a wider fitting is a real bonus. When it comes to coats, it is too easy to go for the black or brown option, thinking that they will go with everything. I have found that people always compliment a bright coat, especially in the dark winter months and a brighter coat is a great way to lift an otherwise fairly plain outfit. This peony one from Crew below is no exception. 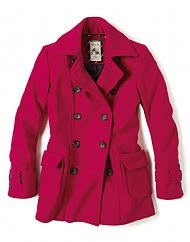 The pea coat style is a classic and will therefore never date. Its length means that it can be worn with dresses, skirts or trousers and this colour will also go well with black and navy. As an alternative for more challenging weather, the biker jacket/waxed jacket is both practical and stylish. Being waterproof and warm it ticks the boxes for less than favourable weather conditions but because it is fitted and belted it still gives some shape. Now we all know that capes are going to be big this winter. For now I like this Laura Ashley version. 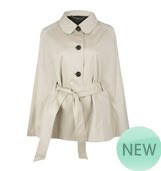 It is cotton and has a nod towards the trench coat. For the colder weather, Warehouse has a reasonably priced black one and Cos has a camel one. Of course the other coat which will be "big" this season is the camel coat. Whilst I do love camel and it can look incredibly chic, it can be draining against a fair complexion, especially in the winter, so just keep an eye out for that when trying one on. If you haven't really embraced accessories before and don't know where to start, I have included a couple of suggestions below. 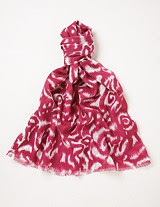 The ikat print scarf is from Boden and comes in a variety of colours. If you aren't used to prints, this is a good place to start - it is subtle but on trend and being 100% wool offers warmth without being bulky. Both of the belts are from Jigsaw. The patent one is smart without feeling as if you are going to work and the detail on the plaited one is pretty. Also because it is soft there is nothing for small children to catch themselves on and if you don't like the feeling of a belt around your waist, because this is so soft it may well solve that problem for you. Now, whilst this post is all about the practical, there has to be a least a little space for the desirable (and not so practical). 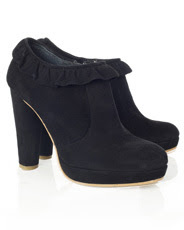 I love these shoe boots from Jigsaw - the little frill is cute without being too girly and they would look great with an edgy dress. As for the necklace? I think that it is fair to say that the jewellery in Jigsaw has had its ups and downs but this season they seem to have nailed it and, sad as it may seem, my heart did skip a beat on seeing this one. I hope that this post offers some guidance on how to dress stylishly but within the limits so many of us have to work - let me know how you get on. Now, all industries have their foibles and this isn't meant to be a criticism of the fashion industry. However, have you ever noticed how, as soon as the February edition of Vogue is out, all of those in "the know" in fashion start sporting summer attire, even though it's still minus three outside? I see pictures of them in the magazines, bare legged, peep toed shoe boots and thin blazers thinking that they must be in the tropics at least, and then I look closer and notice the snow on the ground and wonder just, exactly, how they manage to do it. How do they stop their teeth from chattering and how do they avoid that corned beef look on their legs? Aren't they permanently miserable, being that cold? None of them carry much extra weight so it can't be their high bmi keeping them warm. As one who is permanently cold, I cannot imagine anything worse than stripping off when it's still that cold outside. I wonder whether there is some mini competition going on in the fashion world, possibly a competition to see who can wear the least appropriate clothing for the weather whilst at the same time wearing the most impractical trend from the following season: maybe a low cut, low back, mini body con dress, minus a coat with high heels in the snow in February - you get my drift. You see not only can you freeze but you can fall flat on your bottom at the same time. Genuis. The thing is, none of them would do it wearing a trend from the previous season. Oh no, that would be positively frowned upon (darling) but to wear a trend from the following season, despite it being utterly inappropriate, well, that's just inspired. Then the September issue of Vogue arrives and we are warned how we need to buy our winter coats now as some of the stores sell out in September. September? How ridiculous. September can be really beautiful - I recall it being particularly hot when I was at school and had wear a winter uniform when it was still 20 degrees - but to have to buy a winter coat now, before they sell out seems vaguely farcical to me. Having said that, as one who errs on the chilly side, I can identify with stocking up on winter clothes well in advance-at least more so than buying summer clothes in February. Have a gin - my favourite tip, particularly when the children are at home in the summer holidays. Not only does it keep you warm but it blurs the edges. Have fun and keep warm. In the spring, just reverse the advice given above and add more ice to the gin to cool you down. I suppose that really it should be called a tale of three wardrobes, given that my clothes have also found their way not only into my own wardrobe but also that of my husband's and our daughter's - but that just sounds wrong. So here's the thing.... About five years ago now, we decided to knock two bedrooms into one and create a dressing room for ourselves. Along with that came the fitted wardrobes, individually designed by yours truly. The only problem was that once they were completed, I realised that I had, in fact, designed a much better wardrobe for my husband than I had for myself. I asked if we could swap but he refused. Fair play I guess. So, I went about filling my wardrobe. Unfortunately my less than perfect design meant that I didn't have enough room for the many dresses that I had started to acquire and so some of them found their way into our daughter's wardrobe. Now, given that I had bought that wardrobe myself for my first house, and given that I had constructed the flippin' thing on my own, using only a swiss army knife (until two in the morning no less), I felt that I still had some proprietorial rights over it - and anyway, it was only the odd dress or two. However, the odd dress or two became three, or four and then the things that I wasn't sure that I wanted to keep anymore found their way in there and then the odd coat or two until 50% of her wardrobe was taken up with my clothes. On telling her for the four thousandth time that her room was a mess and needed tidying, the obvious answer of "but your clothes are taking up my wardobe space" came back. Again, fair cop. At least I know when I am beaten. But now she has been away for a few days and I have had a chance to sort out my own wardrobe, as I contemplated earlier in the week. It also occurred to me that you can't really let your eleven year old get one up on you now can you? So, this is what I did: I emptied out all but a few of my clothes from her wardrobe. Then I sorted out the rest of my clothes. I carefully selected some clothes that will almost fit her, but not quite and which she would like to own. In an act of selfless motherly kindness I have put them into her wardrobe for when she is older. The fact that I may still want to wear these clothes occasionally is neither here nor there. It doesn't count until you decide to keep it. No, seriously, it's official. Incidentally, who first coined that phrase and what does it really mean? Who decides what is "official" and what isn't? Bizarre. Anyway, enough of that. I have decided that it's official that, until you decide to keep something, it doesn't really count (in the bank department). Unlike food, which can't be returned and which therefore does count the minute that you've paid for it, it is possible to buy clothes with wild abandon and until you decide that they are yours, you haven't really spent the money. That's my philosophy anyway. Take today as an example. Today I was good to my children and took them to a soft play area and it really wasn't that bad. No, honestly it wasn't. We made sure that we left the house on time so that we were second in the car park - even though we had to go via the local newsagents so that the eldest of the two who were with me could nip in and buy the latest copy of Grazia for me. Poor boy, imagine being 8 and having to go into the newsagents to ask for the latest copy of the magazine his Mum wanted. I had to stress the importance of it being the latest copy as sometimes they are a week behind - tut tut. Anyway, the soft play area was civilised. I even managed to read the said magazine, with half an eye on the children and at the end of it, I decided to try and work out how some of the functions worked on my phone - particularly the "notes" section. When I tapped the icon I realised that I had already been beaten to it by a child who was 10 at the time of the entry and which read "Buy Flo iPhone for Christmas". Yeah right. Not only had she beaten me to it but she had beaten me to it by nearly 8 months. So, I worked out how to enter the heading that I was after and unsurprisingly it read as follows: "Shopping List A/W 2010". Beneath it I made 8 entries. Now, lists are made for one purpose and one purpose only, and that is for acting upon (unless they relate to jobs you have to do. Then the purpose of them is to add to the bottom of the list things that you have already done, just so that you can cross them off and feel as though you have achieved something, even when you haven't). Finding myself with ten minutes or so to spare - oh yes, ten minutes - even after hanging out the washing and doing the lunch, I decided that I really did need to act upon the list or what was the purpose in making it. And herein lies the crux of the matter. Those Whistles trousers that I ordered, those items from Next (more about those in another post!) and those several Boden items, some in two colours and two sizes - none of them count. I haven't spent a bean. Not only have they not been delievered yet (although apparently the Boden ones are on their way - yippee) but even when they arrive, I still won't have spent a penny and nor will I until I make that fateful decision that they are to be mine. When they enter my wardrobe, that's when I have to hold my hands up. Until such time I had a very pleasant, guilt free, half hour (I know, I said ten minutes but that was a little exaggeration) shopping without the crowds, the travelling, the parking or the children fighting and I didn't even spend a penny. Result. For some, me included, clothes have the ability to make you feel either on top of the world or completely down in the dumps. They can affect your mood, your temper and many other things besides. Take the second hand blouse bought for me from the local village church jumble sale. Now, I chose the blouse. It had a cream background with a print on it - brown and orange - very 1970's but then, it was the 70's, 1978 to be precise and I was 8 years old. The first time that I wore the blouse I got into trouble at school and had to miss my break time, writing out spellings 50 times instead (what a useless waste of time that was). Anyway, I digress, the point is that I have never, to this day, liked wearing secondhand clothes. I blamed the blouse for the events of that dreadful day and it served no further place in wardrobe. Shortly afterwards, I wore a dress of my sister's (now you can guess the rest, it being secondhand after all). I could not wait to get home from school and to get out of that awful dress. I am not quite sure what made it awful to me - it was perfectly decent blue polyester after all and it was fine on my sister but on me? I hated it. Anyway, on rushing through the door I was greeted by my Dad who had come to take us away for the weekend and I was told that there was absolutely no way that I had time to get changed as we had to leave instantly. The horror, the quiet distress that I felt having to stay in THAT DRESS for several more hours. Anyway, needless to say that dress too served no further place in my wardrobe. There were then the items that weren't secondhand but that I disliked anyway and they made me feel miserable. The too tight grey cord pedal pushers (mind you, the description is enough to make you feel miserable, despite anything else.) The waistband was too tight but if I undid them they fell down. The shoes that I insisted on buying knowing that they were too small and caused me pain just by looking at them (come on, own up, we've all been there haven't we?) and short skirts worn by others which I wore despite the fact that I felt uncomfortable because I was a)cold and b) told by a relative that I had knobbly knees just like my Dad. 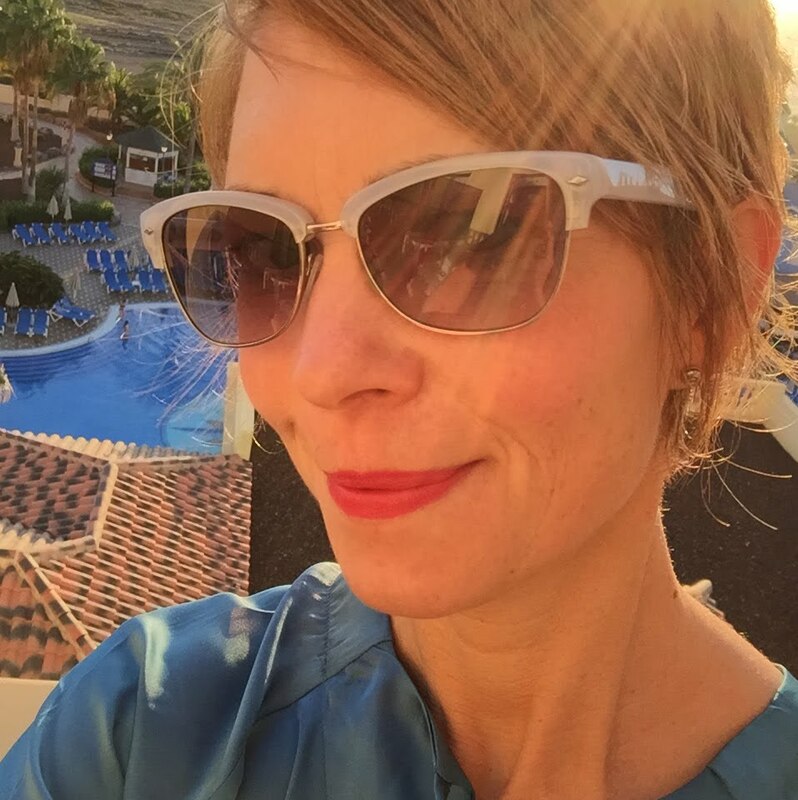 This summer was a case in point for clothes (or in my view the lack of them in my wardrobe) causing a case of the blues - the first hot, hot day that we had threw up many style conundrums. We had been invited to a friend's bbq and we were walking. Not only was it excruciatingly hot but my legs were tinged with blue, which ruled out dresses and skirts, jeans were too hot and there was a whole bra issue thing going on with the tops and as for the shoes? Let's not go there. The day was saved by an ancient pair of white wide legged trousers and a 1950's style fitted top - but only just. But then there have been the successes: the M&S pale green sun dress and the pale pink two piece that, at the age of 7 made me feel so grown up, my wedding dress and more recently two dresses that I saw and just knew that they were exactly what I had been looking for but didn't think that I would ever find. As for others? My husband's psychological well-being is not, in any way, linked to what he is wearing. To him clothes are functional - they keep him warm, dry and decent. That makes him sound like a caveman, which he is not - well, perhaps slightly when it comes to clothes. If I want him to wear something I put it on the top of the pile. If I don't , I put it on the bottom - job done. How is it that some are like that and others aren't. The more people that I style, the more I realise that we are creatures of habit. We all have our habits, our foibles our likes and our dislikes and for me, clothes are not only important but fundamental to my well-being. Just another reason to dig out that shopping list for A/W 2010! My first recollection of M&S having an impact on my life is via a photograph taken of me when I was about three. I am sitting on the front door step of our house wearing the most amazing navy and red trouser suit. The jacket had red and white stripes and the navy flared trousers had a vent in with the same striped material. Oh, how I loved that trouser suit - I thought that I looked the bees knees. A Saturday night treat was to eat crumpets, angel cake and chocolate crispie cake whilst watching the Generation Game on TV. I think that my desire to personally style people first revealed itself in M&S. The joy that I took in rifling through the boxes of bras and matching my Mum up with the bra size that she was after. What a sense of achievement! As a teenager it was a Saturday treat to eat a prawn roll on the bench outside M&S and to have a whole bag of cheesy balls to myself was heaven. To take home a bag of their butter popcorn was beyond dreamy. I came home from a holiday once to find that my bedroom had been totally re-decorated courtesy of, yes, you guessed it - M&S. The range was called "Chelsea" and included matching bedding, lampshade and bin, no less. So 1980's! My first "beauty" range was from M&S - Wild Iris matching soap, bubble bath and talc - I can still smell it now. As a sixteen year old, in need of a job, I refused to work anywhere else apart from M&S. I badgered them until they relented and gave me a job. At £1.94 an hour as opposed to the £1.50 that WH Smiths were offering I was positively rich (and the bonus was that the prawn sarnies in the canteen were only 10p!) The nylon uniform left a lot to be desired. It was distinctly uncomfortable and unflattering on the puppy fat. It was, however, fun to watch the men come in on a Friday morning though, buying a "little something" for the weekend. I often wanted to ask them whether it was intended for their wife - but never did. On into the student days and as a treat on a Saturday, my housemates and I would share a box of profiteroles. So much more delicious than whatever else we lived on for the rest of the week. When travelling around the world, the delight that my friend and I experienced on discovering M&S in Singapore was incredible. M&S on the other side of the world! It probably only served to make us more homesick than we already were. My first work suits came from M&S plus shoes and of course the endless supply of tights that were required. And so on into adulthood proper - our eldest child's first babygros, presents from friends, presents to friends (even as recently as yesterday!) and here we are now. I was told that it wasn't possible to style anyone out of M&S - they were wrong. It is, and I have, with great success. M&S feels safe, people have grown up with it, they understand it and what it stands for. I think maybe that the older generation have been (slightly) left along the way - that's what my Mums says anyway. However there are great pieces to be found in Limited Collection, Autograph and in their suiting range. Since the demise of many high street shoe shops, M&S has upped its game and it is possible to find directional footwear at a really good price. Great if you don't want to invest too much in a look that might only last a season or so. My clients are often amazed when I tell them that pieces that I have are from M&S and I think that many have returned to shop there with avengeance. What always amazes me is that whichever client's wardrobe I may be doing, they all, without exception, have an M&S hanger in there somewhere. I can tell from the distinctive style that they are from around the mid 1980's, probably when most of my clients were still living at home, which means that they have probably travelled with them through many house moves and still they have hung on. So thank you M&S - you have played, and still play, a big part in my life and I for one still love your prawn sarnies and am even happier now that you have started to stock diet coke too. Firstly, I am very sorry to report the demise of Merlin, the fish. He is currently on the kitchen worksurface wrapped in greaseproof paper awaiting his burial in the morning. Poor Merlin - we didn't even have him a week. It was whilst I was sitting here, checking my blog and noticing that I now have four, yes four, followers that I felt slightly chilly and donned my dressing gown over my clothes and put on a pair of socks too - not a good look it has to be said. It was as I was coming down the stairs in the said attire that I realised how is it that the grass is always greener? When it is the summer, I long for winter clothes. The lovely palette of rich colours, the silks, velvets, cashmere and beautiful tailoring. I have ideas that this winter I will, finally, crack the warmth issue and be draped in layers of sensual but warm underwear with lace peeping out, never to feel the chill again. 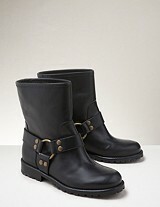 My winter boots will shine to perfection and offer comfort and warmth. Yet when the winter is here, I long for summer clothes - lighter colours, floaty silk dresses with just a cardigan thrown over for a stylish look or perhaps this season's trousers, the perfect white T and a blazer for the final touch. Trendy sandals, sunglasses and beautiful accessories. What a load of old tosh that is: on both fronts. For me, the winter is characterised by enough layers to make me look like the michelin man. The only thing that keeps me warm is a bright pink puffa jacket that I picked up in the sale at Selfridges at least five years ago which was vastly reduced, clearly because no one (other than me) wanted it. It only has one popper left on it now as well so it's not actually that effective. I try not to wear it out in case I see any clients of mine and they wonder whether I have taken leave of my senses. The silks leave me freezing and certainly every wardrobe that I have been into recently (and that's a lot) have had moths nibbling away at the cashmere. My warm underwear is a mottly selection of GAP vests, (none of which can be described as sensual) and my boots always seem to have a white line left by the water, just to demonstrate how I used them for paddling. To my mind, the shops are still at that half way house kind of stage - new autumn stock is arriving but there are still a few sale rails of printed maxi dresses hanging around with some damaged goods that no-one will ever want to buy there too, just for good measure. For me, deciding what to buy for the next season should be a pleasurable experience, so shopping in a store where there are bits and bobs from last season hanging around and things on the floor just really doesn't do it - it's a bit like sitting down for a nice meal and drinking out of a chipped glass or wearing something that is just a bit too tight, or itchy- it just doesn't feel right. So, with that in mind - and the fact that it is the school holidays and I couldn't shop even if I wanted to (which is more to the point, let's be honest) I have decided to practise what I preach to my clients and to do my own Wardrobe Consultation - just to see where I am at. The first things that need to be sorted are the things for the dry cleaners - I am not quite sure how you politely respond to the question of whether you know the origin of the stain on your dress when you know full well that the white crusty substance originated from the nose of one of your children. I suppose that there must be a way but I don't know it. There is then the dilemma of whether the cost of dry cleaning your clothes is worth the time and effort involved in making the trip and whether the chemicals that you subsequently breathe in will result in a lung condition. There is also the dilemma of whether it will be effective, or whether it is better tackle the stain with a baby wipe or stick it in the dryer with one of those dry cleaning sheets. I can't decide. So I guess that I will leave that job for now. The second things to be done is to sew all of those buttons back on to coats etc ready for the winter. But I can't find them and I hate doing it any way. So I guess that I will also leave that job for now. The third thing is to see if there is a way that I can make things that I thought didn't work any more, now work for me, possibly by having the length alterered or having them taken in. I know that I have a lovely velvet Jigsaw dress which could be great if it was shorter, so that's an option - and velvet will be huge this winter; no suprises there then, velvet is huge every winter, whether we are told that it is or not. There's another Jigsaw black dress which has always been a "difficult" length but that too might be fine once a few inches have been removed, particularly now that I have found a good tailor. Then there's the other printed Jigsaw dress which I know will definitely work once it has been shortened - yes, that's what I will do. Except....the velvet dress always was a bit tight around the rib cage and the black dress always seemed to make me sweat a bit. And there's not much point in making a special trip for just one dress. So, that's sorted then. I will just take all of the items out of the wardrobe and clear the space - excellent, one de-cluttered wardrobe with plenty of space for new winter additions. Phew, what a relief to know that that's a job well done. Now where's my list of top buys for A/W 2010? I have to say that I am not entirely convinced, despite what the D&G boys are telling me, that a cardi with Reindeers on circa the 1984 Wham video "Last Christmas" is the way forward for me. However, maybe it is one of those things like skinny jeans and shoe boots, that gradually grow on you - even if it is a season later -and before you know it, hey presto, you just HAVE to own one. So, here's a tip - if like me you're not convinced and if you don't feel like splashing out £400 on the real thing (see the inside cover Grazia this week) then look no further than Johnnie B - the teenage range for Boden. On page 34 you will find the chunky hooded cardigan, navy blue with white reindeers on, at the somewhat less eye wateringly expensive price of £50. The large size will fit a 34/36 in chest, so it's probably worth trying if you are no bigger than a size 12. If you are not sure that you want to embrace the reindeer across your chest look, you could always opt for the grey cable knit cardigan instead. If you do give either of them a try, let me know how you get on. ...not for the fact that I spent too much in there, but for the fact that we are now the proud owners of three goldfish - Bob, Dora and Merlin. This is how it all began....Having just reached 40 I felt that it was my duty to consider spending some of my birthday money on an "investment" - (OK, a Mulberry handbag) and so with two of our three children in tow, we merrily headed off to Harvey Nichols, (via the local Tesco for material with which to bribe said off-spring). On walking through the door, we spotted the Creme de la Mer counter with....the tank of fish, which of course the 2 year old loved. Having plotted together (the persuasive power of a 2 year old is amazing) the off-spring decided that they required three fish - one for each of them and one for their brother (who was otherwise wisely engaged at tennis camp). In my effort to say "yes" more times that I say "no" each day, I agreed. And so here we are, three fish and one rather dis-gruntled husband later. Anyway, the Mulberry bag. Needless to say that my favoured style was also favoured by many other women in the UK and is no longer available. Oh well, I am sure that an equally divine style will make an appearance in the not too distant future. As for the clothes....so wearable this year: the beautiful DVF dresses, the uniquely clever and outrageour Vivienne Westwood collection, the new Project D range by Danni Minogue (I am sooo addicted to her new series) and it's great to Amanda Wakeley's new collection in the store, after all her trials and tribulations. So, there we go, no bag, no clothes, plenty of lusting and three gold fish. Not bad for a day's work. I was hoping to have time to do a more detailed review of my top buys from the Boden Catalogue but "the mouse" as our two year old is known has decided to go for her lunchtime nap only 25 minutes before she is due to get up..so it will be brief, leaving me just a few minutes to flick through the new Marie Claire before I wake her up. Ikat print scarf £29 (page 112) - a funky alternative to the ubiquitous stripes or spots and less scary (or objectionable) to some than animal print. If you want to go for the green or the yellow, be sure that it suits your skin tone as these are harder colours to wear. Failing that, all of the other colours are lovely and also versatile. Chic peep toe £99/£120 (page 228) - If there is one style of evening shoe that will go with everything, this is it. It's a classic so it won't date, it's stylish, always on trend, comfortable and yes, it is OK to wear tights/hold ups with these peep toe shoes. Black and grape are safer options by why not throw caution to the wind and go with the giraffe print instead? Well I have strayed way past my alloted time so I will sign off now, with further updates to follow. I don't know about you but I am always eager to receive the new Boden catalogue. It's not so much that it is completely filled with stylish on trend pieces for the season, (although there are some - more about those another time) but it provides one of the first glimpses into the world of winter clothes at a time when the prospect of not having to have a permanent pedicure seems quite appealing. Turning down the corners of those pages - although now the handy stickers do the job for you - returning at a later date to see whether you still like what you have chosen, waiting for a better discount to appear in the Sunday Times....it is the start of a new chapter in our winter wardrobes. This is of course only the start and the glossy magazines are now talking about the new trends non stop. What will you opt for? Camel colour, a cape, minimalism, lace, the perfect trouser, colour block? The list is endless. I will soon be back to give you my lowdown on the top buys from the Boden catalogue and if you live in the Birmingham area, put Friday 26th November in your diary as the date for my next Style Event - Style in the Second City (2) where I will show you how to wear the trends for the season, whatever your figure, your lifestyle or your budget.